What Is Community Data Analytics? We believe communities can only plan for their future if they have complete access to the information that matters to them. CDA provides you with the latest and most accurate data. Get the latest and most accurate data about a specific geographic zone. We manage complex datasets with millions of observations and thousands of variables. We analyze spatial and geographic factors to understand complex causal relationships. Our experts in planning and economic development can help you achieve your vision. We understand the impacts a development will have on the institutions serving it.  We have over 20 years of experience consulting for a diverse array of clients. CDA provides up-to-date customized demographic projections for communities. Supported by a team of experienced planners, analysts, modelers, and econometricians, CDA partners with clients to analyze demographic trends and provides multipliers that planning agencies, school districts and fiscal specialists rely on for population forecasts and to ascertain fiscal, demographic, and traffic impacts of a development. 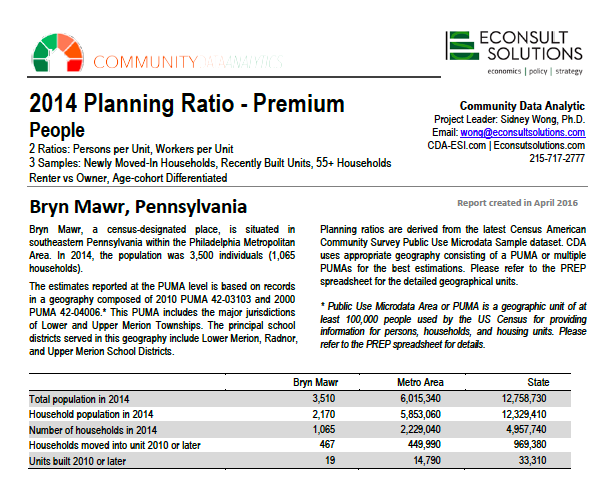 The Planning Ratio Estimation Program (PREP) utilizes the American Community Survey PUMS records. The annually updated PUMS are used to provide clients with samples based on housing and demographic information. Examples include Newly Moved-in Households, Recently-Built Units, 55+ Households, Transit Commuter Households Living in Multifamily Units, Low and Moderate Income Households, and so on. PREP defines 54 core housing configurations and an extended list of 90 configurations. It calculates demographic multipliers for each housing configuration whenever the PUMS records are big enough for sample estimation. There are four basic types of demographic multipliers: People, School, Traffic, and Income. The most common and widely used demographic multipliers are the average number of occupants and school-age children per household. Demographic multipliers relating to people, students, and workers are further broken down into age cohorts or grade groups. The demographic multipliers relating to vehicles and income are estimated by using sub-samples defined by the attributes of the householders. PREP calculates the standard error and the lower and upper limit at the 90 percent confidence interval for each demographic multiplier. Since the PREP is robust enough to analyze the PUMS records of individuals, households and housing units, CDA can develop additional demographic multipliers and planning ratios to fit client’s need. PREP identifies the statistical relationship between an individual PUMA and its larger geographies. It uses this relationship to generate the best estimates when the sample size is insufficient at the PUMA level. How much and what types of new development can a community accommodate without compromising the quality of life of its residents? CDA can help you answer this question more accurately than any other models. Stop making decisions based on data from the 1990s. Thanks to our proprietary model, you now have access to the latest and most reliable demographic information. CDA provides insight into economic conditions and trends in communities across the United States. Our products will allow you to better understand the current characteristics of your community, supporting your decision-making and allowing you to plan with confidence. Our products are designed to provide you with timely and accurate information about any place in the U.S.